Dwell on Design opened on June 24. In amongst the 200 exhibitors are a good many old friends and some new faces we feel the need to introduce you to. Here’s our top picks all in one place! And we start, for no reason other than Modenus Tim’s obsession with the quality of their grills, ovens and cook-tops with Capital Cooking Equipment. These are the people who make kitchen equipment for people who cook. 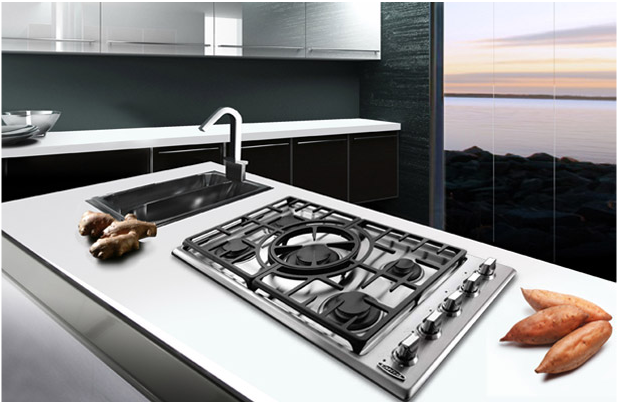 It is true that everything they make looks good, but it is the details that are designed to delight the most fastidious chef that make them one of our favourite appliance manufacturers. 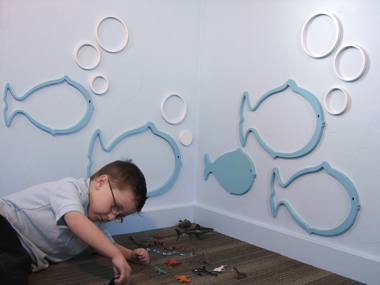 Wallter make coat racks, mobiles, textiles, planters and lots more creative stuff. They also make what they call ‘Wall Decor’. The shapes are made out of wood and the good news for people who like painting is that they are supplied in matte white ready for your tender attentions. That’s also the bad news for people who don’t like painting. 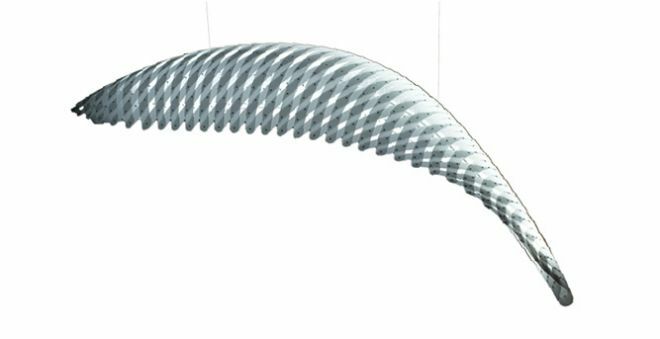 The Dwell web site doesn’t give a booth number for wakaNine, David Trubridge’s representatives in North America, but we promise the hunt for them will be worthwhile. 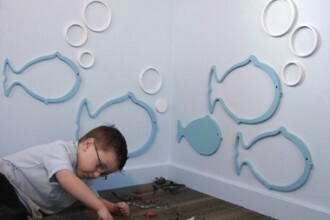 We are fans of David and have enormous respect for his commitment to creating create environmentally conscious design. 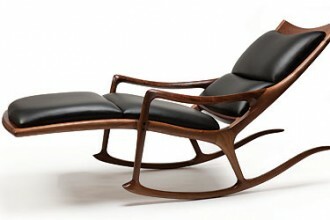 We also love his designs, so clearly inspired by the natural world. ‘Making tile modern’, they say. 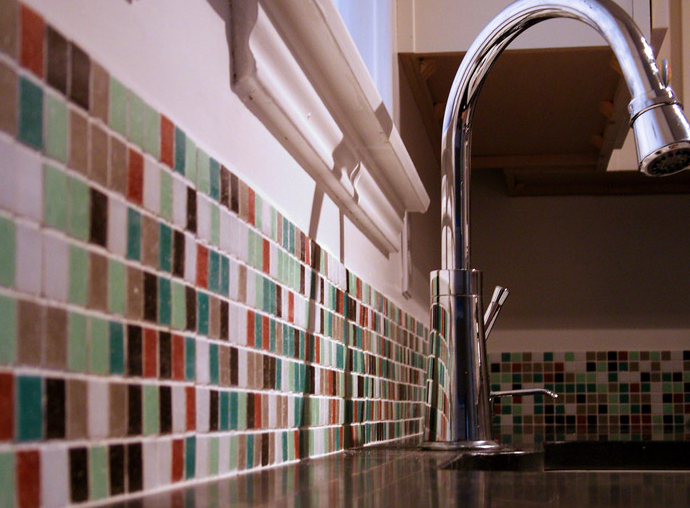 Well they certainly make modern tiles. 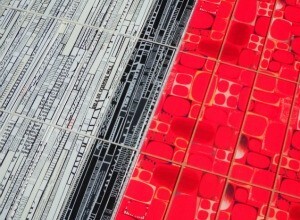 When you see their range, including their gorgeous glass tiles, a personal favourite, you can see why this is the name that springs to mind when so many designers look to source tile for client’s projects. We’ve heard rumours that they are bringing a couple of new lines with them to Dwell. Always good people to seek out. Say ‘hi’ from Modenus. A good tub is a guarantee of a place on any Modenus preview list. And this, my friends, is a very good tub from what appears to be a very good company. 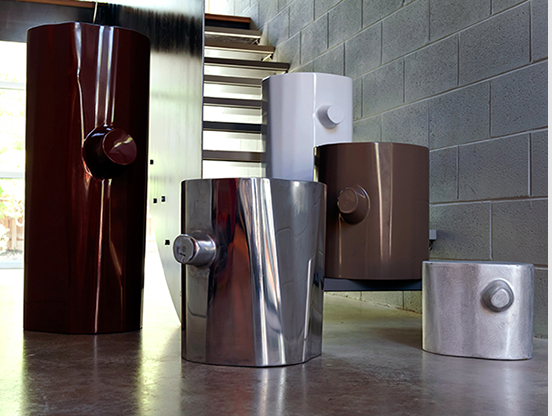 The tub is called Aspen and, like other Native Trails products, it is handcrafted using recycled material. I know I should be writing a little more about Native Trails here but, if it’s ok with you, lets just look at their lovely tub for a while instead. Ahhhhhhhhhh. Thank you. 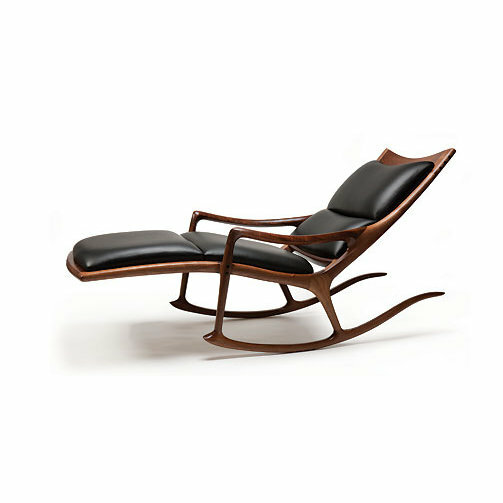 According to the Dwell on Design website ‘Peter Francis furniture is designed by Peter Saloom’. So why isn’t it Peter Saloom furniture? If you go to the show you’ll have to ask. 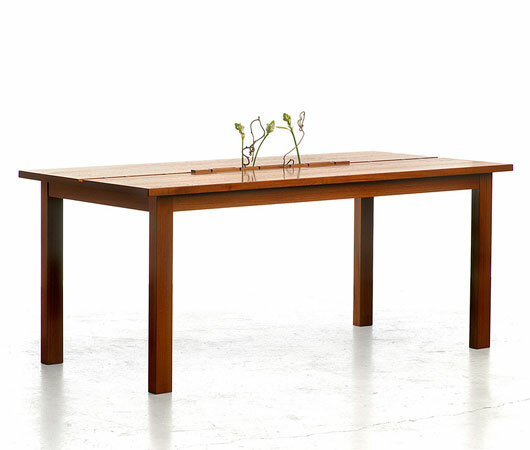 His, let’s just say Peter’s, furniture is made from solid Maple, it is uncompromisingly modern but has a simplicity and confidence about it which is appealing. Unmistakably American, there are traditional woodworking techniques deployed here. I was going to say ‘If a Blanco sink were a car it would be one of those high performance superbly engineered German beasts’. But I suspect somewhere a copywriter is drafting something about a superb German car and comparing it to a Blanco sink, faucet, or one of the other beautifully engineered things they make. When they launched their Truffle Sink at the AD show in New York they surrounded themselves with enthusiastic social media folk and served them suitably toned liquid refreshments. We are not sure if they are planning anything liquid or refreshing for LA but their wares are always worth admiring. 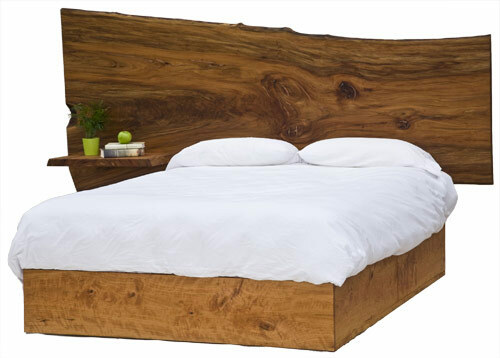 We are guessing that David Stine Woodworking will be bringing some of their more portable furniture rather than their Michael Bed, shown above. But it is one my favourite pieces and as I’m the person who writes the previews… In fact, all of their work is lovely, especially for people who like their wood to look like wood in all its raw and natural beauty – graining, knots, live edges, and all. 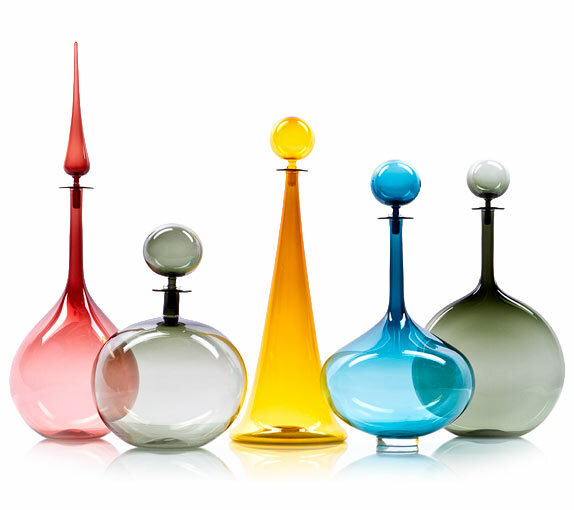 There is a purity to Joe Cariati’s hand blown glass that almost leaves you speechless. No decoration, no embellishments, just glass, blown hot and mesmerising in its beauty. Joe’s work has been receiving a lot of attention of late and it is easy to see why. If you think it looks beautiful here, wait till you see it in person. And in the unlikely event of you tiring of admiring Joe’s glass, he also has some very impressive tattoos. Ask nicely and he may give you a glimpse of them. Ahhhhhhh! Brizo! (Only English gravy lovers over the age of 50 will get that joke – I don’t know why I bother sometimes). But seriously, function, beauty, performance and reliability all in one shiny package. 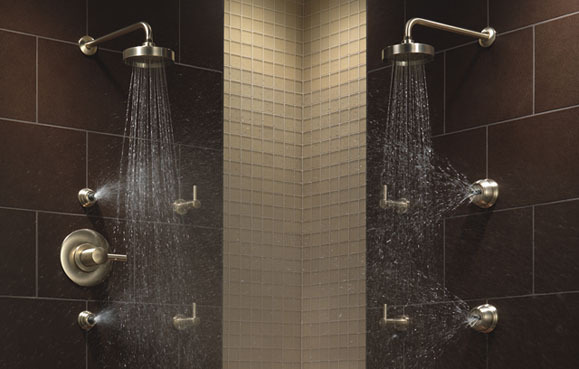 Brizo make faucets, showers and more. And they are all stylish, robust and perfect for the job intended. Be sure to stop by and tell them Modenus sent you, we’re fans and personal friends of this crowd, especially since they tend to invite some of us writer folk to NYC for fashion week and feed us inspiration and often times Moroccan food. What’s not to love? Not, as you may imagine, an appreciation society for Ms Beyonce Knowles, but a company from Kentucky who make rather large rotary cooling devices. We applaud them for their choice of name and their product is, it must be said, cool. Tucked away in the middle of the Black Forest, Duravit have been making the bits and pieces that make up luxurious bathrooms since 1817. 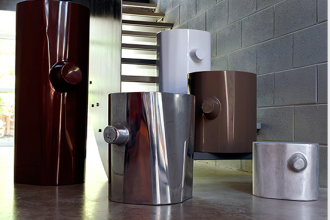 Philippe Starck, designer of the range pictured above, has been working with them rather more recently. We’re not sure what they are bringing to LA but expect it to be beautifully designed, crisp and highly desirable. Now here is an interesting idea. Semi Handmade make doors and facings which fit IKEA kitchens. A great way to have your cake, or Swedish meatball as the case may be, and eat it too: You can take the rather inexpensive IKEA cabinet box and hardware and clad it with luxury woods like teak and walnut for a custom look with a less than custom price. Now if that’s not busting this recession in style I don’t know what is and should you happen to already have a kitchen by the yellow and blue giant we love to hate, you can dispose of dated laminate doors and add style and luxe to your kitchen without tearing out the whole thing. Clever, huh? Now these are fun. 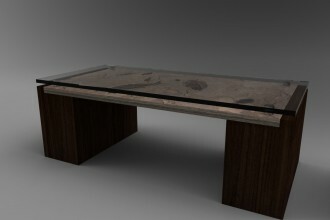 Made by George Sacaris Studio, the Faux Bois Collection are just that, fake stumps. Made out of aluminum they can be used as benches, tables, stools and whatever takes your fancy. And, as George Sacaris is fond of pointing out, no trees were hurt in their manufacture. Nice! 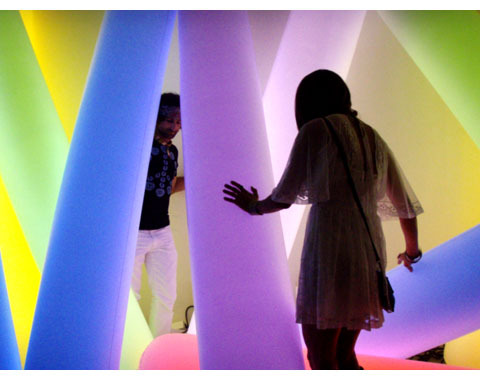 And this is what we want from a design show on the west coast – innovation, quirkiness and fun. Supernova is a huggable light. Never mind why, it just is and we love it and want it. In fact we want very many of them – now. It is inflatable, stuffed full of over 1500 LEDs and you can even get one which changes color at the command of a remote control. If you don’t like this you don’t like fun and I don’t want to talk to you – so there. 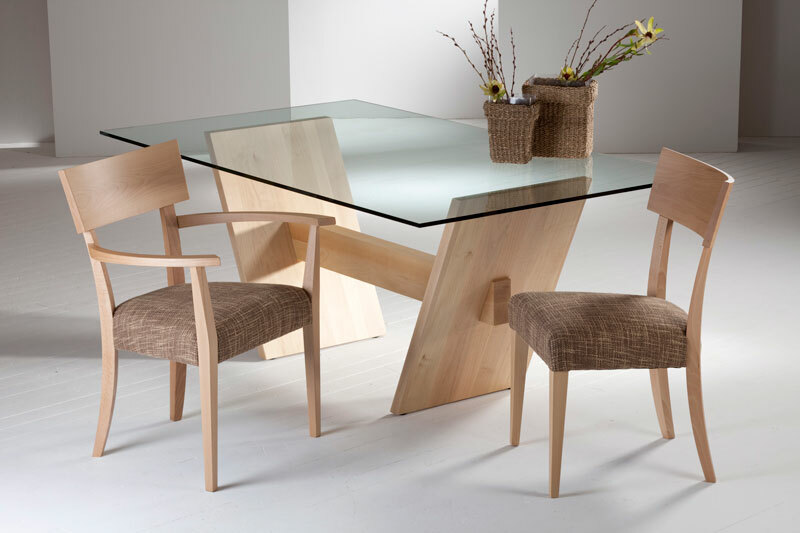 Sam Maloof furniture is hand made by just three men working according to the direction of their mentor, Sam Maloof. If you want a piece you have to wait, there are no short cuts here. The designs are not licensed for mass production, it is unlikely that they ever will be. 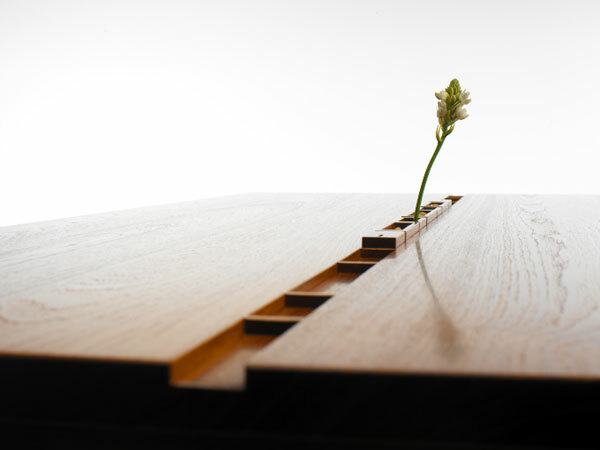 Theirs is total commitment to the principals of hand made artisan produced furniture. This is the exhibit you can expect the other furniture makers to be gathered around. 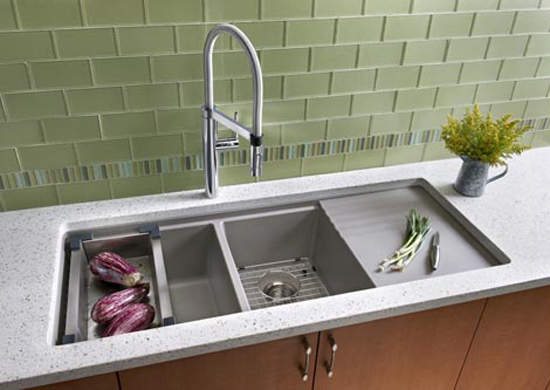 I was listening to kitchen experts talking about sustainability at a recent trade show. 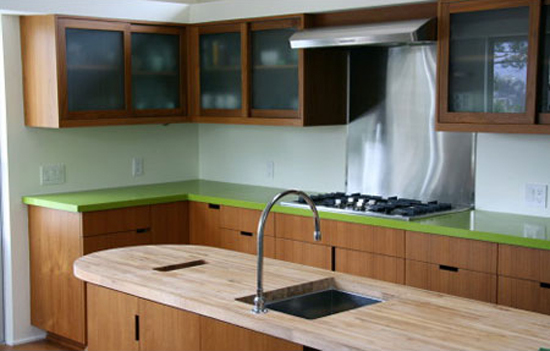 The man from Poggenpohl patiently explained that while they get the occasional call asking for a replacement handle for a forty year old kitchen – no one moves into a home with a Poggenpohl kitchen and tears it out. 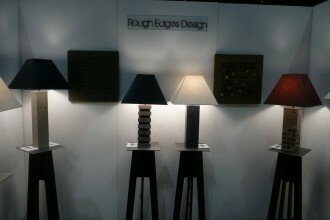 Swing by and admire the designs but also have a very close look at the quality. Poggenpohl are probably the world’s best known luxury kitchens for a reason. Time to break that ‘one image per listing’ rule. 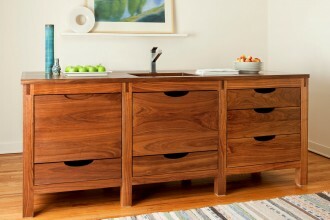 Laura designs and makes furniture for her fortunate clients in California. 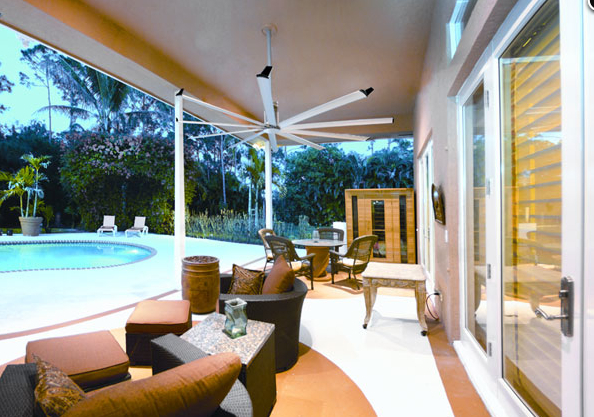 There is a simplicity of design which is reminiscent of the best of mid century modern. Proportions are perfect, craftsmanship impeccable and detail just enough to make her work distinctive and highly desirable. Artisan designer/makers are much in evidence at Dwell, as they’ve been at other trade shows we have covered recently, and long may that continue. @capitalranges:twitter on Modenus Dwell on Design preview! 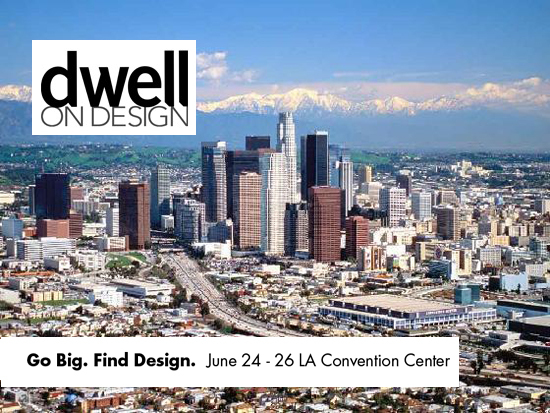 @modwalls:twitter on Modenus Dwell on Design preview! 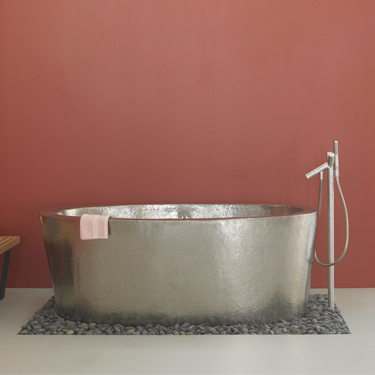 @Native_Trails lovely tub on Modenus Dwell on Design preview!